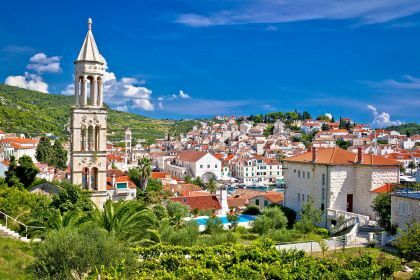 Hvar is considered one of the highlights of Croatia’s Dalmatian islands. It's been famous since ancient times because of its strategic position, rich history and culture, and mild climate. It is sure to fire your imagination with its evocative past. 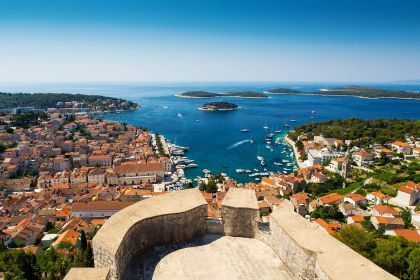 Thanks to its perfect climate — known as the sunniest Croatian Island — Hvar is also the ultimate place for sun worshipers. You will soon see why travellers flock to its many sites, beaches and nightlife. There are myriad reasons to visit. Here’s one to start with. Fancy catching a Bluefin tuna as big as yourself — or even bigger? Hvar has become one of the choice locations for Bluefin tuna fishing, which is itself one of the top choices for big-game fishing worldwide. Octopus, squid, sharks, swordfish, grouper, Dorado and other species are also on fishing lists for the area. Hvar is also a paradise for adventure-sport enthusiasts. Take skydiving, for instance. Even experienced skydivers will be awestruck by the magnificent scenery in the region. If you’re a rookie, visit Skydiving Tandem Hvar — they’ll make sure you are perfectly safe, have the time of your life, and even have video evidence of your adrenaline-laced adventure to take back home to show family and friends. You could even try fly-boarding. This relatively recent invention simulates flying — a flyboard is a type of jetpack/hoverboard, which supplies propulsion to drive the flyboard through air or water. It’s easy to master and good fun. The team at Mario Rent, in the centre of Hvar, doesn’t just rent out equipment, they also offer one-on-one instruction, great photos and happy memories. When it’s time to take a break from adventuring and activities, there are plenty of idyllic beaches calling. In the northeast, there’s Mlaska, the perfect place for some quality sunbathing and beach time, when you can kick back, run the warm sand through your fingers, and relax to the soothing sound of the waves. Hvar also offers some superb Croatian cuisine. 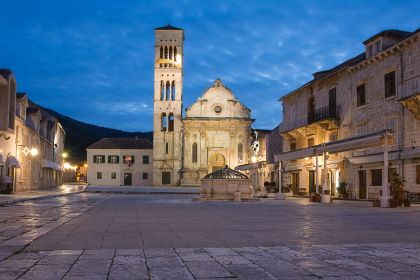 Dalmatino (for fish and steak), Giaxa (fine dining in a 15th-century palazzo) and Konoba Menego (traditional Dalmatian) are all recommended stops on a mouth-watering gourmet journey. Croatians are acclaimed for their culinary talents, and Hvar is a magnet for those with a taste for fine dining. 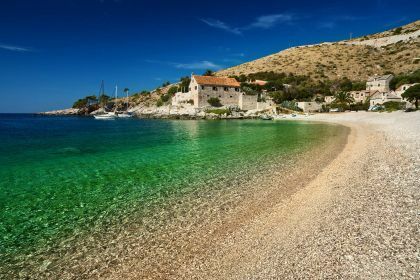 The exotic-sounding Brac, Vis, Korcula, Hvar, Solta and Mljet are also worth adding to your island-hopping itinerary. They are guaranteed to deliver an unforgettable sailing vacation. Get in touch with your Abberley charter broker here or skype or call us and we will help you plan and enjoy the yachting vacation of your dreams.